After pestering several local grocers on their facebook pages, finally one has opened 5 minutes away from home! Thank you Jaya Grocer. # – Jaya Grocer @ Sierramas. We visited the place for the first time yesterday and I was so happy with the selection of goods. At last, we have quick access to decent beef (we bought a couple of tenderloins) and meat, wide selection of dairy products (so many types of cream….LOVE! ), cooking ingredients and booze. Well, I’m pretty happy with Tesco but there are just some stuff that you can’t get from Tesco. # – Husband’s happy with the choice of booze. 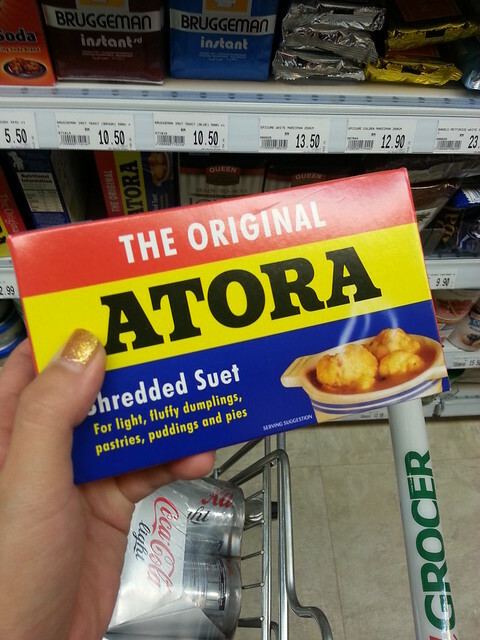 It’s also the first time I spotted suet, actual suet in Malaysia! This ingredient has fascinated me since before I hit puberty, after I read about it in an old recipe book that belonged to my aunt. # – Suet pudding, here I come! 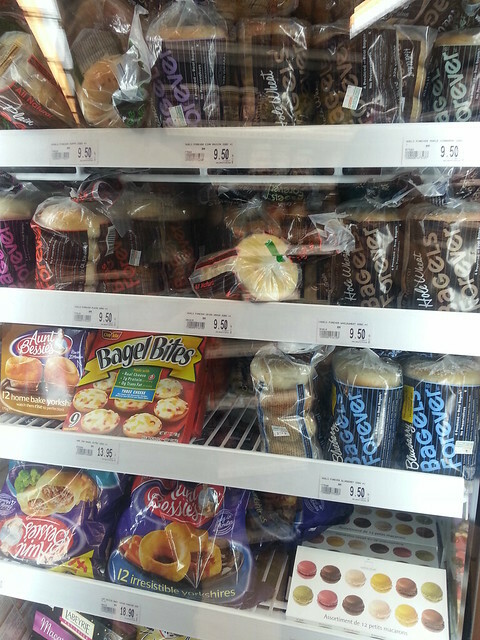 Best of all, is the fridge filled with bagels. # – Bagels, I love jew. All these within 5 minutes drive. You may think I’m being a bit over-dramatic but you have no idea how happy I am. I was on the verge of tears the entire time I was in the supermarket. We spent over RM700 on a visit that was supposed to be just a recce, lol. And it’s so nice to have someone bag your shopping and carry it to your car for you. Here’s to a loving and lasting relationship with my grocer! Sierramas, 4700 Sg. Buloh, Selangor. Hours:	10:00 a.m. – 9:30 p.m. 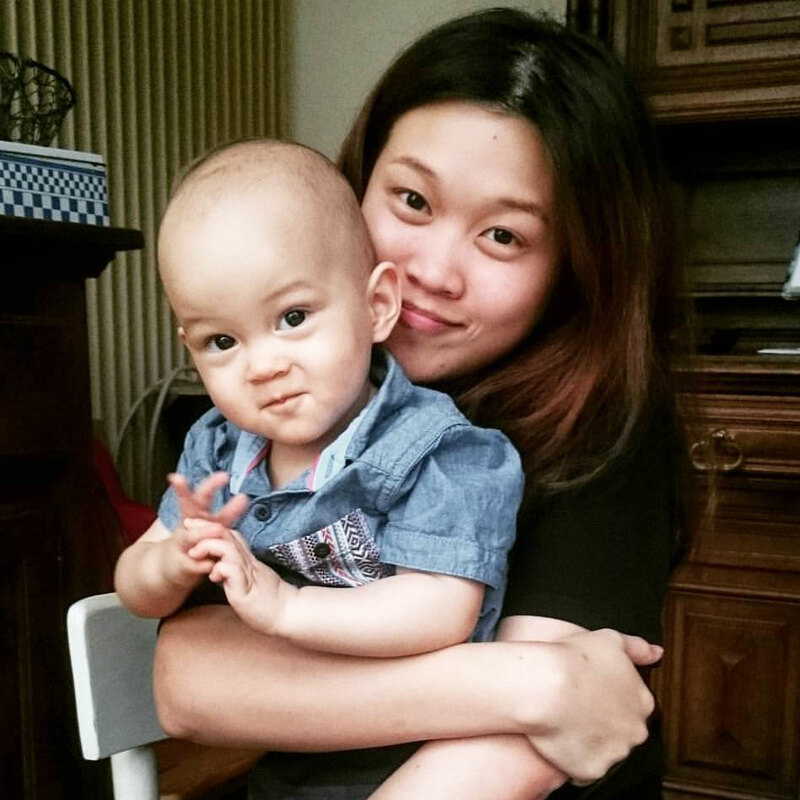 I share your happiness! 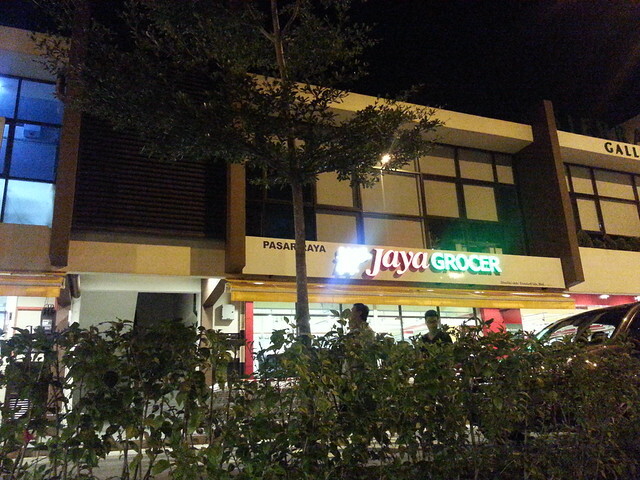 Now I can drop by Jaya Grocer on the way home from work, very convenient. 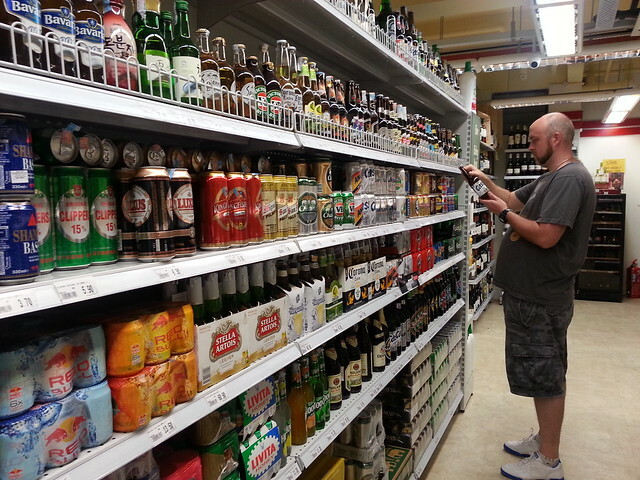 The place should be bigger though but luckily still well stocked. If only a proper butcher can open next door. Yay! Hope they will open a bigger store too but the current variety is pretty good so that’s cool. For butcher, actually the pork section in Tesco Kepong Village Mall is pretty good! Spotted at 14 weeks 2 days. My staple pregger outfit – Same design, same size but different colours. The day we found out.